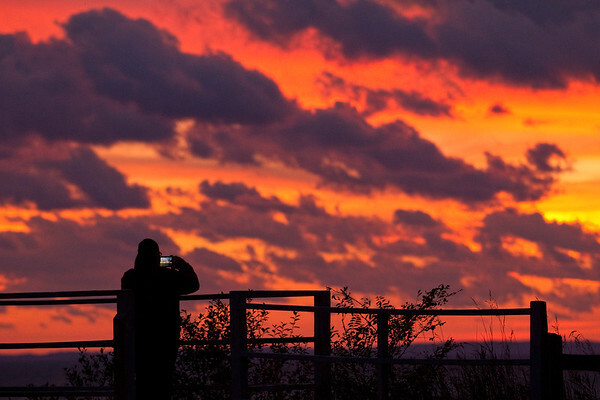 Essie Perez of Northport takes pictures of the sunset over Lake Michigan from Peterson Park. Perez said she saw the sky turning red through her window. "I had to come see it, it's beautiful."